Alpha 1 anti-trypsin (AAT) deficiency is a rare genetic problem that causes the enzyme AAT to not work well. It can cause lung and liver disease in children and adults. AAT deficiency is inherited. It is passed from parents to children. This condition occurs when the liver does not make useful AAT. 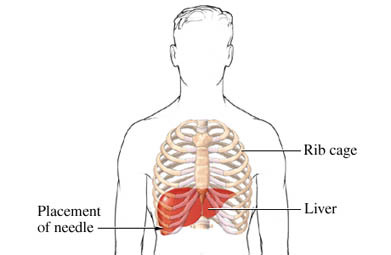 AAT is a protein that protects the lungs and other organs from damage. When functional AAT levels are too low, lung damage may occur. People with AAT deficiency can also develop liver disease. AAT deficiency is one of the major causes of genetic liver disease in children. The liver makes an abnormal version of AAT protein that builds up in the liver. This blockage can damage liver cells. In some cases, severe liver damage can occur. If either parent has the gene for AAT deficiency, their child is at risk of developing problems due to the disease. If both parents carry the gene, their child is at higher risk of having severe problems. Symptoms in children can occur in the first weeks of life or later in childhood. You will be asked about your symptoms and medical history. A physical exam will be done. You may be referred to a doctor who specializes in the lungs or liver, depending on the symptoms you are having. Images may be taken of your lungs. This can be done with a chest x-ray. Medications may be prescribed to boost the levels of AAT. These may be given weekly through an IV in the arm. The doctor may treat people with emphysema with inhaled steroids and other medications to improve breathing. Smoking can increase the damage to your lungs. The doctor can suggest smoking cessation strategies. Avoid exposure to air pollution or irritants. Wear protective gear if exposed to irritants or toxins at work. Alpha-1 antitrypsin deficiency. National Jewish Health website. Available at: http://www.nationaljewish.org/healthinfo/conditions/alpha-1. Accessed March 19, 2018. Alpha-1 antitrypsin deficiency. The Merck Manual Professional Edition website. Available at: http://www.merckmanuals.com/professional/pulmonary%5Fdisorders/chronic%5Fobstructive%5Fpulmonary%5Fdisease%5Fand%5Frelated%5Fdisorders/alpha-1%5Fantitrypsin%5Fdeficiency.html. Accessed January 2017. Accessed March 19, 2018. Alpha-1 anti-trypsin deficiency (AAT). EBSCO DynaMed Plus website. Available at: http://www.dynamed.com/topics/dmp~AN~T113686/Alpha-1-antitrypsin-AAT-deficiency. Updated January 19, 2018. Accessed March 19, 2018. Hericks AJ. An overview of alpha-1 antitrypsin deficiency. Mo Med. 2007;104(3): 255-259.